This is a “complete" snack that includes a protein, natural carb, and healthy fat. To add a little more protein, try topping with FitFreeze or greek yogurt. This recipe all works well with yams. 1. Preheat oven to 350 degrees Fahrenheit and line an 8 x 8 baking pan with parchment paper. 2. Add all ingredients to a blender or food processor and mix on high until smooth. 3. 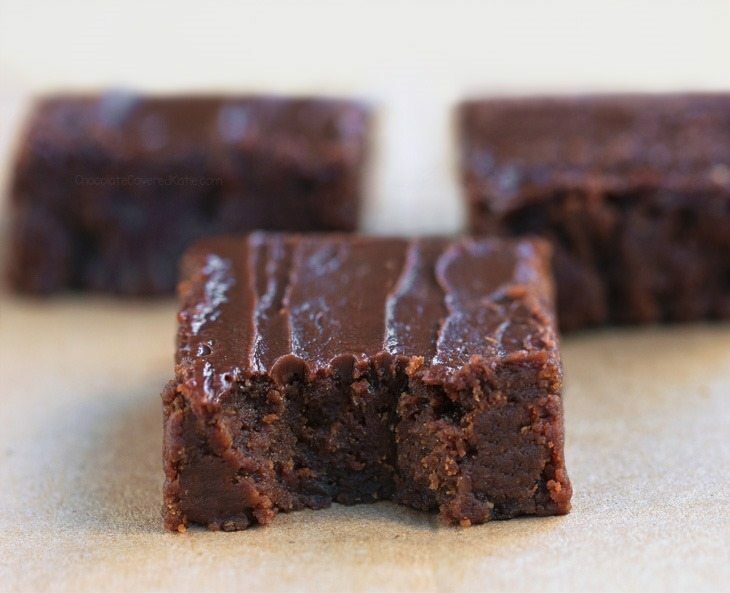 Pour brownie batter into your prepared baking pan, using a spatula to spread evenly. Bake for 25-30 minutes. 4. Remove brownies from the oven, allow to cool, and enjoy!